New Zealanders love a good DIY project. Whether it be renovating a single room or an entire house, our #8 gauge wire mentality sees us jump at the chance to roll up our sleeves and get hands-on. In recent years, this passion for DIY has combined with the trend of upcycling and reusing materials in order to reduce costs and build more sustainable spaces and structures. 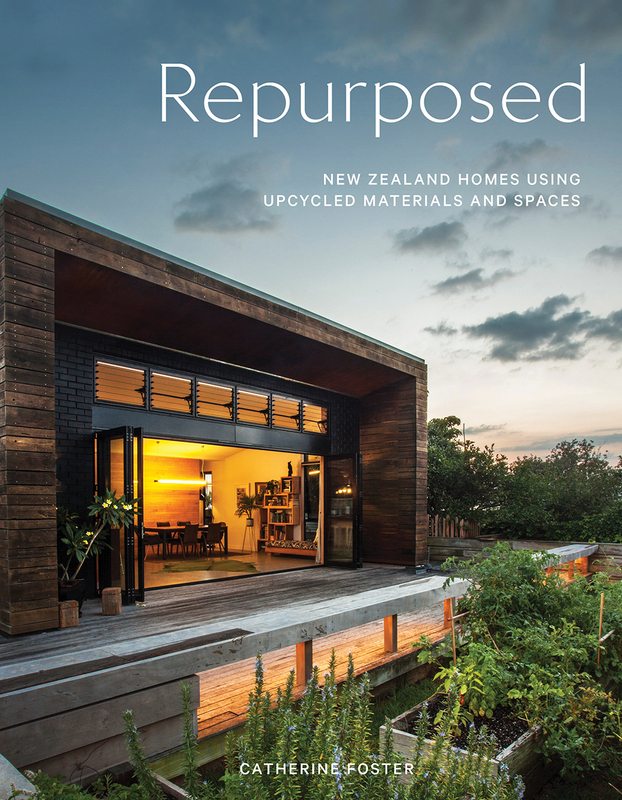 Catherine Foster has an undivided passion for design and with her latest book, Repurposed, turns the focus to how New Zealanders are utilising recycled and repurposed materials to refresh and redesign spaces. 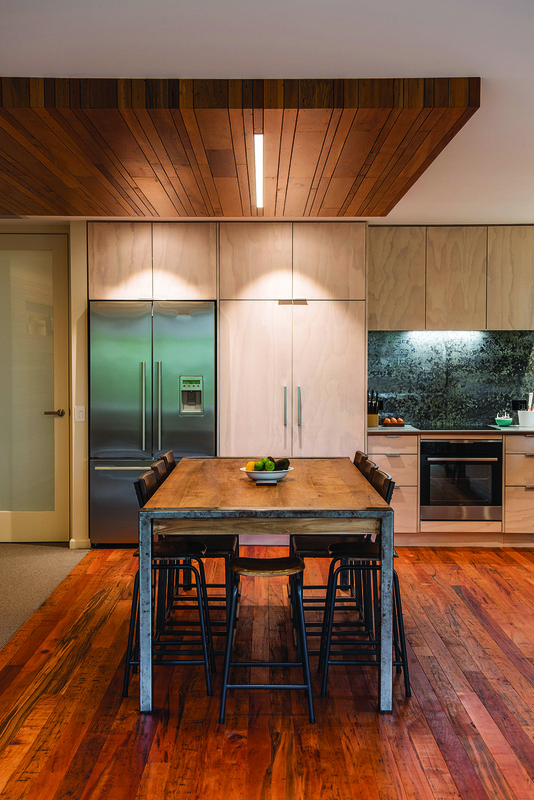 Her showcase of 20 unique homes throughout the country illustrates how improvising and reusing things for which they were never intended can breathe new life into a space, and achieve a unique look and feel that is not possible with new materials. M2woman sat down with Catherine to learn more about this emerging design trend, why it is important and how we can repurpose and upcycle in our own homes. Was there a specific experience that made you want to write Repurposed? I couldn’t help myself. I’ve always loved the way age adds beauty to even the simplest of dwellings. My earliest forays into home ownership were in England. The first house I owned and renovated was built in 1840 and was Grade 2 listed in part, so respecting the history that comes with a home of that age (or older) meant repurposing what was there was an essential part of the renovation. The underlying philosophy behind Repurposed is the idea of upcycling… repurposing by another name. Could you elaborate on the idea? Wikipedia defines upcycling/repurposing as ‘creative reuse’ – a process whereby materials, buildings, waste products, etc are transformed into items of higher aesthetic quality than what the original item was. New Zealanders have a long history of building with the pre-loved and pre-worn. 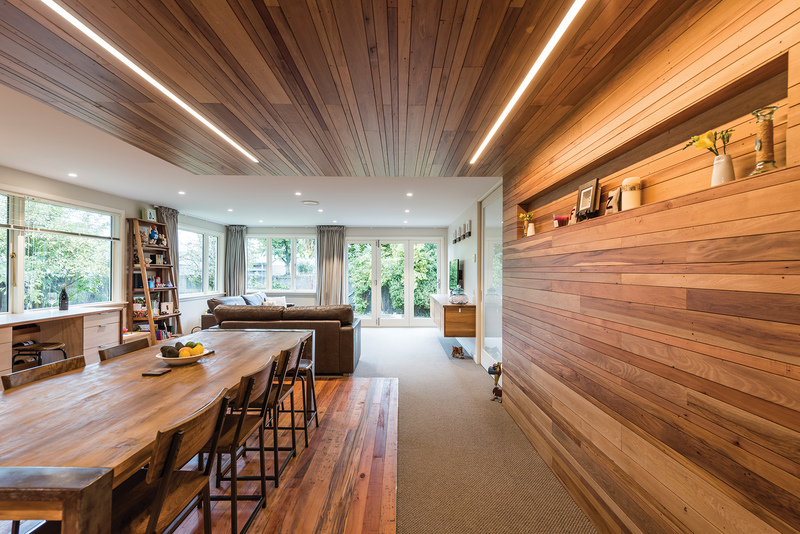 Our makedo and mend approach is perhaps most celebrated in the traditional Kiwi Bach – which in years past, when more lenient building regulations prevailed, were often knocked together with salvaged materials, and fitted out with generations of cast-offs. 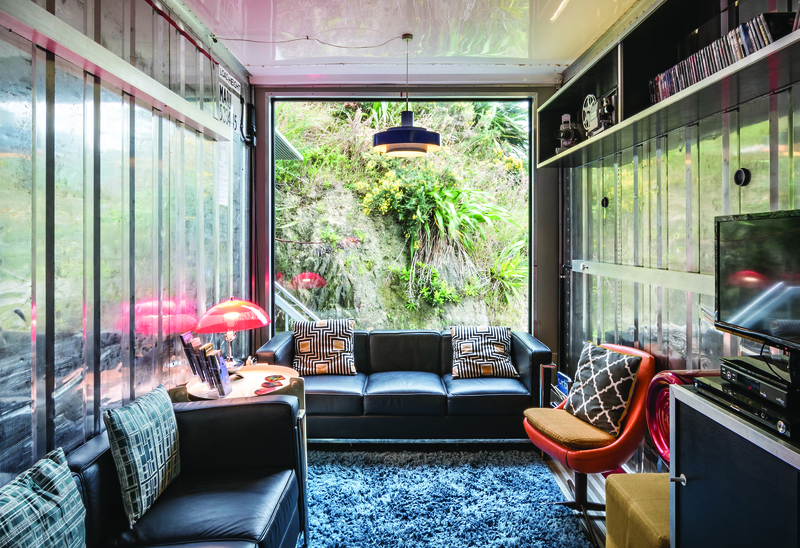 How have New Zealand housing pressures influenced the repurposing trend? The ongoing pressure on housing in New Zealand is changing how we inhabit the buildings we see as our homes. Long-term renting is increasingly becoming the norm and it has become necessary to think about how to make inexpensive and non-permanent improvements. Rent and mortgages consume a larger and larger part of the weekly budget and so the national hobby of repurposing, upcycling and recycling have all become tools in the tool box. Some Kiwis love to do DIY; what are simple ways to support the upcycling trend? And what are some simple ways to be eco-conscious during our own DIY projects? Buy quality second-hand items off TradeMe or from charity shops. Transform them inexpensively through paint and elbow grease. Re-imagining an item, and then doing the work makes it possible to be used in a way it has never been used before and makes it fresh and appealing – and saves yet another item from entering landfill. What do you think is the most challenging aspect of this trend and how can we overcome it? The tried and tested New Zealand practice of repurposing whole buildings on the back of a truck has become increasingly unviable as the stricter standards of the current Building Code often make the process economically unfeasible. The same goes for using secondhand materials or elements; if their use is to be structural, they must be tested by an engineer to ensure they meet the requirements of the Building Code. This process is both time consuming and expensive. How do New Zealanders compare in this upcycling trend with the rest of the world? The Japanese have a term, ‘wabi-sabi’. It means cherishing what is old and imperfect, and enjoying the intrinsic beauty that comes from its age and wear. Wikipedia defines it further: ‘Characteristics of the wabi-sabi aesthetic include asymmetry, roughness, simplicity, economy, austerity, modesty, intimacy, and appreciation of the ingenuous integrity of natural objects and processes.’ New Zealanders (and all who enjoy renovating in a way that reveals and celebrates what has gone before) today are marrying this concept with the national traits of pragmatism that gave us the bach of years gone by. What are the benefits of repurposing and upcycling when it comes to homes? Character finishes and fittings are always more ‘real’ (i.e. authentic) when they are the genuine item. Mimicking the patina of age is never as good as the real thing. People are becoming increasingly aware of sustainability issues and of course, housing is an area where there is a lot to improve on. What are good design principles? If building new, think of site orientation wherever possible – make use of sunlight to warm the home, and control overheating by design features such as deep eaves and cross ventilation. Build smaller so that more of the budget can be spent on quality detailing (inbuilt storage, etc.) and quality materials. Think of flow between spaces – how each space can be used for more than one purpose and use flow to the outdoors wherever possible. Where possible use volume – in the form of higher ceilings not floor meter age – to increase the sense of generosity within the internal spaces. How can these principles fulfill social needs? Building smaller houses on smaller sites, duplexes, terraces, etc, makes best use of available land. 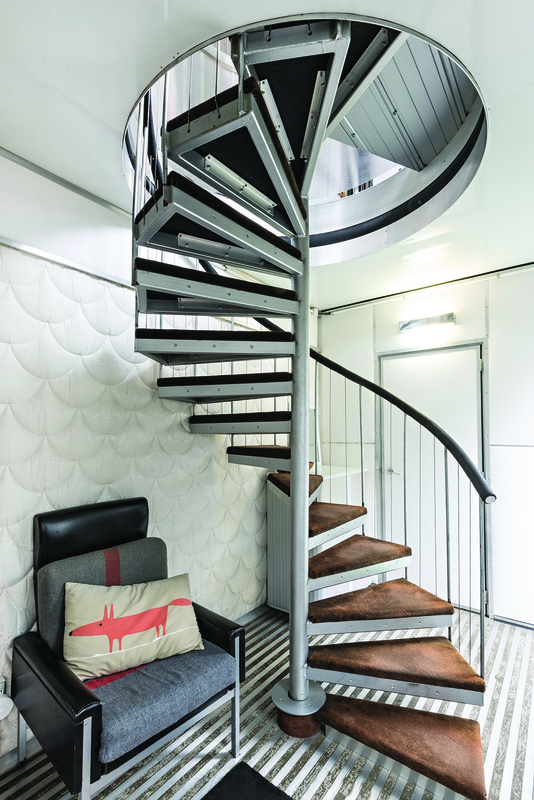 Following the principles of good architectural design, smaller homes need not be bad homes – quite the reverse, in fact. 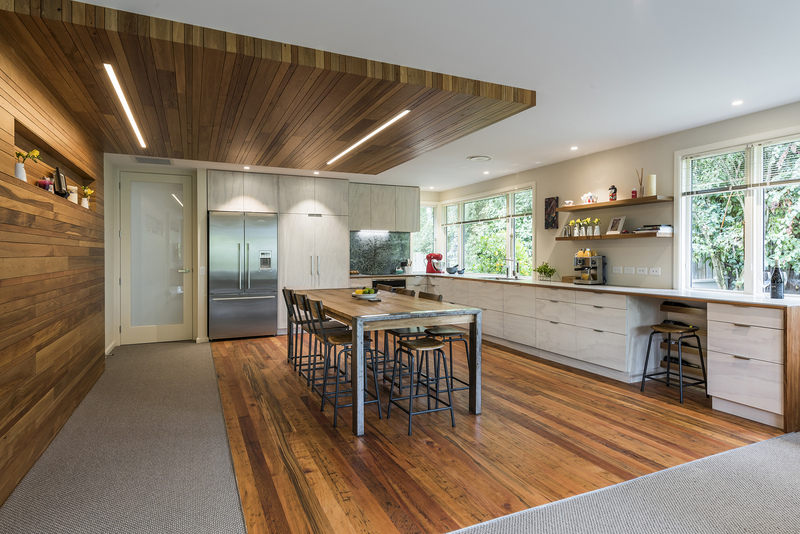 How do you think the Canterbury earthquakes impacted home design? The leaky home debacle and the Canterbury earthquakes required the Building Code to be rewritten and drove a forceful regulatory structure around its application. This has impacted on the way materials or structures can be reused. You have some insightful advice in the Design Notes sections. What is your best home design tip? Celebrate what the building offers in its raw state and improve upon it. 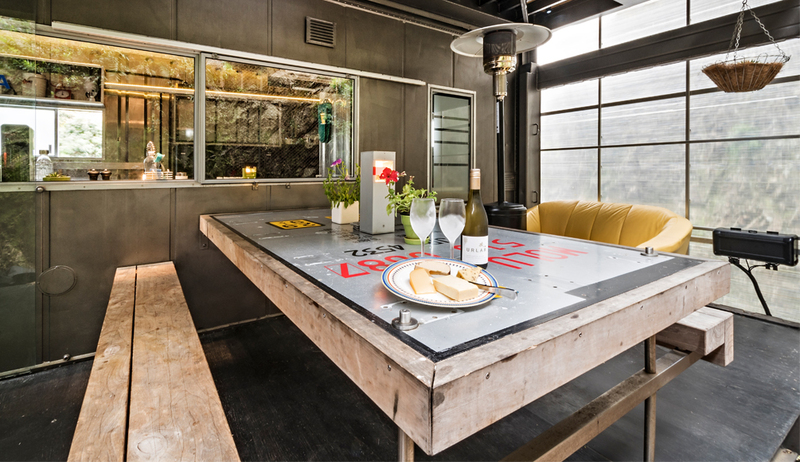 What is the most interesting/innovative detail within a home that you have featured in Repurposed? I hesitate to name any particular house as several do this – but I LOVE when old materials are repurposed to become an integral part of architectural design. It’s that wabi-sabi thing again with the crispness that comes with a newly built structure playing against the softness that an earlier use has conferred. Some of your other books are Small House Living (New Zealand and Australian editions) and Apartment Living New Zealand; now that Repurposed has been published, what direction do you want to explore now? The next book (More Small Houses) will celebrate a new tranche of the wonderful small houses (not always stand-alone) now being built in New Zealand – not only from their design merits but from how most address the social issues around affordability. It’s astonishing how creative owners and designers can be in the ways they come up with strategies which, while not exactly making houses affordable, help. Some are absolutely affordable – and this comes from clever use of the most expensive commodity of all – the land beneath.